Find here the best Rosegal coupons and vouchers. 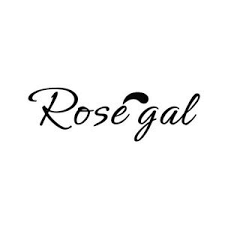 RoseGal was started by a group of friends who all share a deep and abiding passion for stunning clothing and fashion. Specifically, it is the intimate fusion of endless possibilities that vintage and modern apparel has to offer. Rosegal love vintage for its understated simplicity, always en vogue character and stylized elegance. But most of all, they see the vintage style as being a uniquely timeless fashion statement, effortlessly embodying and capturing the essence of classic fashion. This contrasts with the transformative, evolving nature of modern styles that capture the essence of urban energy and edgy lifescapes. By seamlessly offering both styles of clothing, shoes and accessories, they aim not only to capture the imagination but also the hearts of their customers. Inspired by the natural charm and appeal of the vast spectrum of fashionable clothing, the goal is simple: to share their love for the best fashion with each and every one of you.